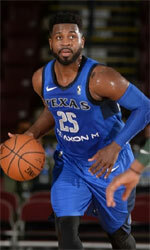 Champville (LBL) strengthened their roster with addition of 23-year old American guard Marcus Foster (190-98kg-95, college: Creighton, agency: Pensack Sports). 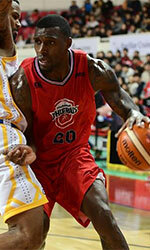 He started the season at DB Promy in South Korean KBL league. In 51 games he recorded very impressive stats: 25.2ppg, 5.2rpg and 3.8apg this season. He was also selected League Player of the Week. The last season Foster played at Creighton University in NCAA where in 33 games he averaged remarkable 19.8ppg, 3.9rpg, 2.7apg and 1.0spg. Great season indeed as he was voted to All-Big East 1st Team, NABC NCAA D1 All-District 5 1st Team and to the Reese's College All-Star Game. He played in the final of Big East Tournament in 2017. Foster graduated from Creighton University in 2018 and it is his first season in pro basketball.